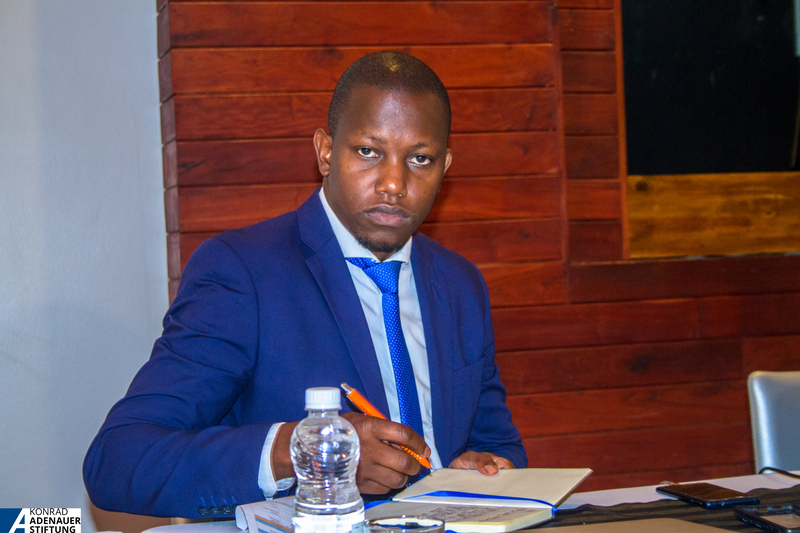 Tafadzwa Oswald Dhlakama is the climate change and environmental project coordinator with Konrad Adenauer Stiftung. He has previously been a lecturer at the Herbert Chitepo Law School, Great Zimbabwe University and worked with the Zimbabwe Environmental Law Association. As an admitted Legal Practitioner of the High Court of Zimbabwe, Tafadzwa has also been part of the Zimbabwe delegation to the Conference of Parties under the United Nations Framework Convention on Climate Change. His research interests are in environmental law, climate change and property rights.